We don’t all get to live in a yellow submarine, but we can all celebrate National Submarine Day on April 11th! Silly hardly-holidays are a great excuse to get friends and family together, and with the great weather we’ve been having, I think it’s as good a time as any to host the first backyard barbecue of the season. 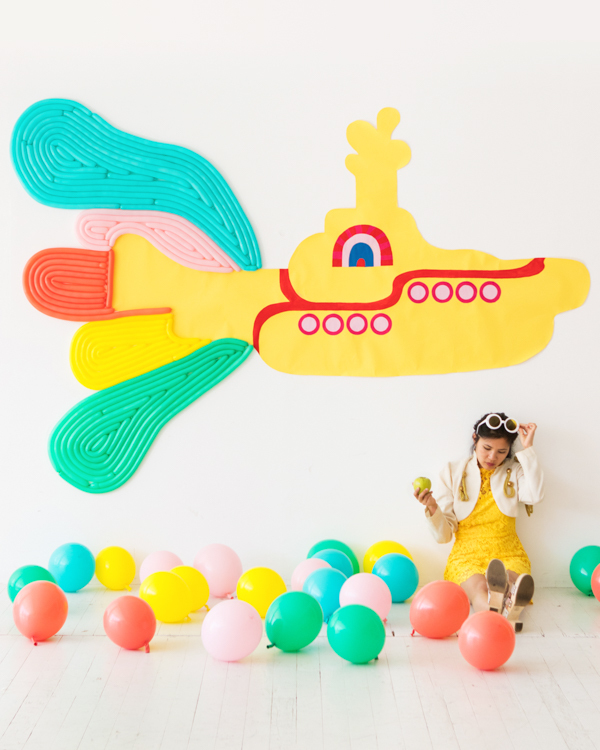 We decided to use the holiday as an excuse to do a giant Beatles themed Yellow Submarine backdrop! Read on to see how you can do one yourself! 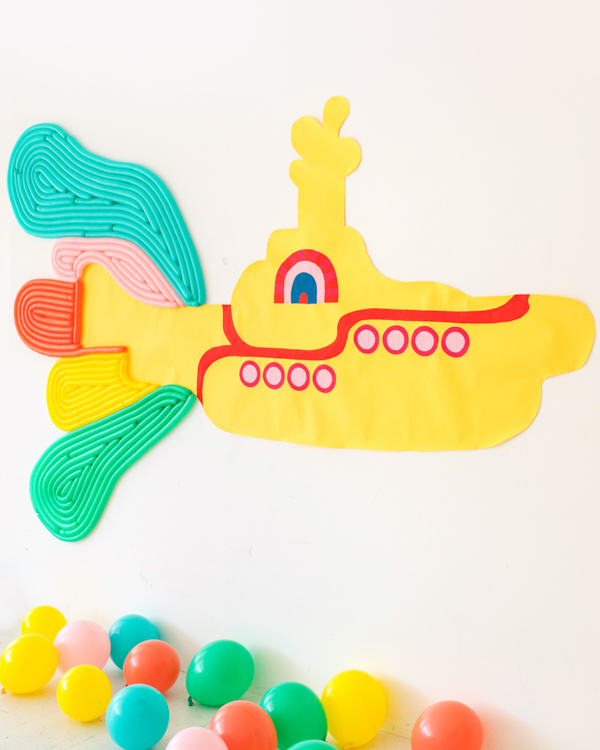 Step 1: Find an image of the Beatles yellow submarine and project it onto a large, blank wall. Tape a piece of the 26” seamless roll to the wall then trace the submarine outline and other details. 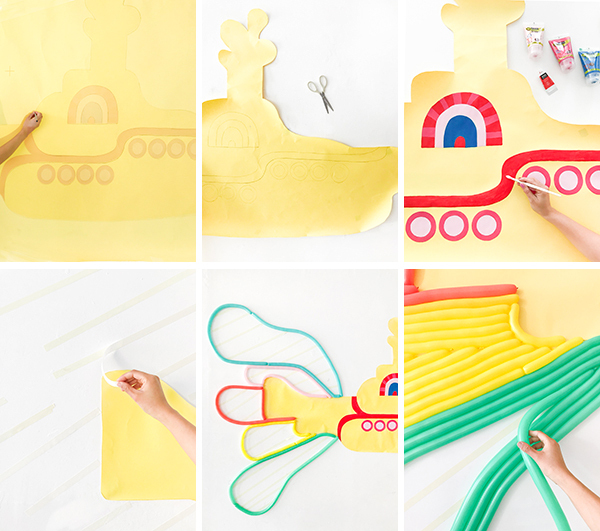 Step 2: Cut out the submarine design with scissors. Step 3: Paint the details of the submarine with acrylic paint and let dry. Then, tape the submarine cutout in place on the wall. Step 4: Inflate 160Q balloons in each color. Release a bit of air from each balloon before knotting so that the balloon has less tension, then trim off the balloon tails. To make balloons to size, inflate a balloon to the length you need, knot both ends, and trim off the leftovers. Step 5: Lightly trace an outline of a rainbow plume design behind the submarine with pencil, then add strips of double-sided Shurtape within the pencil lines. Remove the paper backing from the tape, then attach balloons. 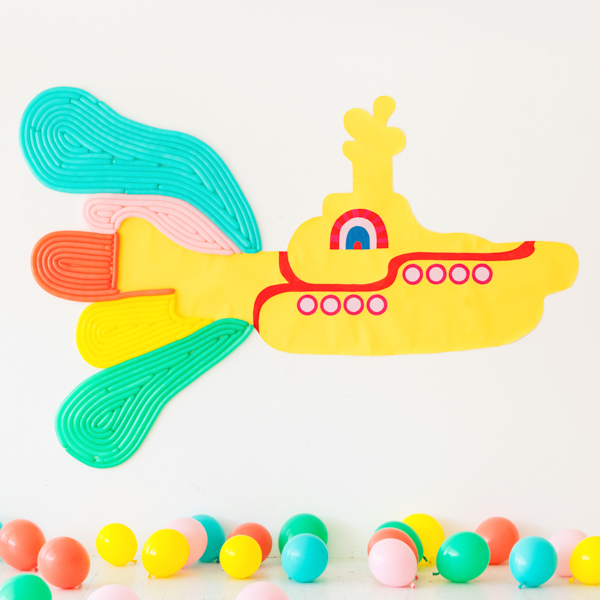 Your yellow submarine is complete! Thanks, Jacqueline! 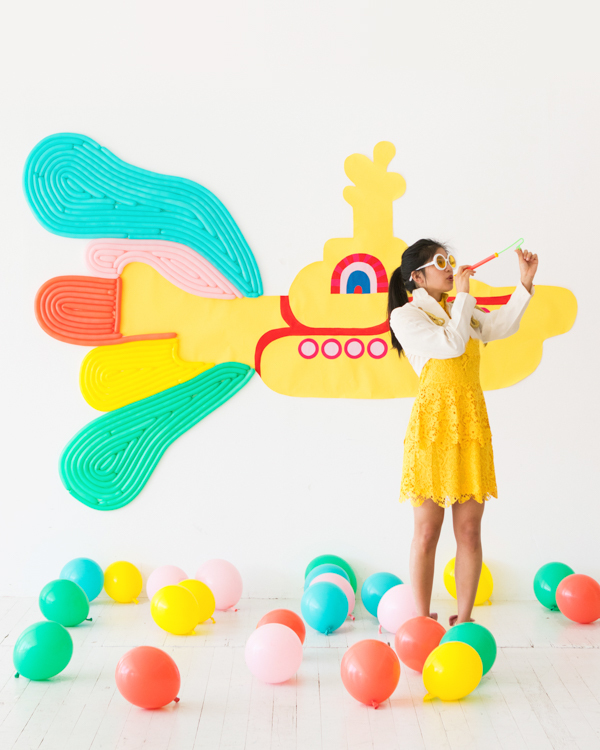 We were definitely inspired by the Beatles’ Yellow Submarine and the whole Sgt. Pepper’s Lonely Hearts Club Band feel!